Author Zadie Smith. Smith will be speaking at Northwestern May 11 as part of an event hosted by Contemporary Thought Speakers Series. 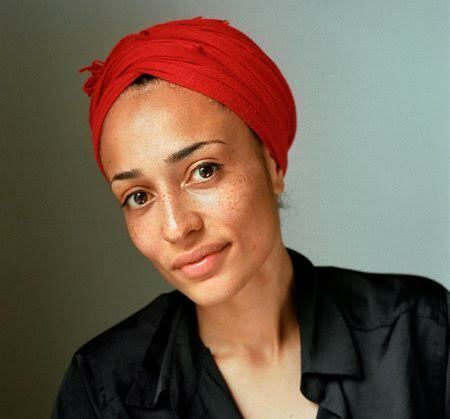 Award-winning author Zadie Smith will speak at Northwestern on May 11, the Contemporary Thought Speakers Series announced Monday. Smith will be joined by African studies and comparative literature Prof. Michelle Wright in Ryan Auditorium for a conversation followed by a Q&A session with students. Smith’s novel “White Teeth,” published in 2000, won multiple literary awards and was named one of the 100 best English-language novels from 1923-2005 by Time. Smith was also named one of Time’s 100 Most Influential People in 2006. CTSS co-chair Samantha Rose, a Communication senior, said members of the group are “really big fans of Zadie” and had been wanting to bring another author to campus. CTSS polled NU students after inviting Ta-Nehisi Coates, and Smith’s name was one of the names that kept appearing in responses, Rose said. The topics Smith focuses on in her books as well as her commentary on current social and political issues makes her an ideal speaker for the series, said CTSS co-chair Ben Zimmermann. Admission for the event is free, but tickets are required. Tickets are available online for NU students, faculty and staff through Eventbrite.